We took some photos of Lincoln Park 2550 (used to be 2520) a couple weekends back. 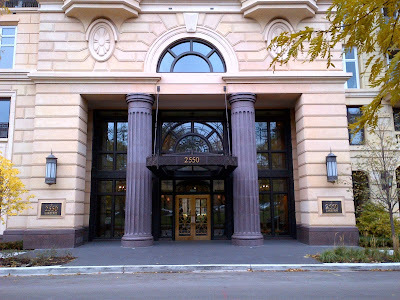 We were reminded of the high profile Pritzker "flip" that grossed about $350,000 this year as reported by Curbed Chicago. 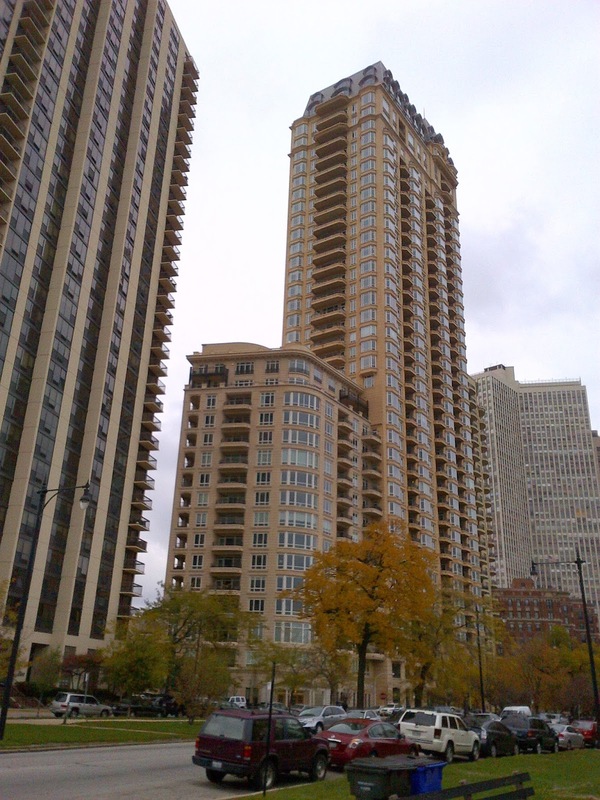 Looking north at Lincoln Park 2550's towers (Photo Bob DePalma Kale Realty). 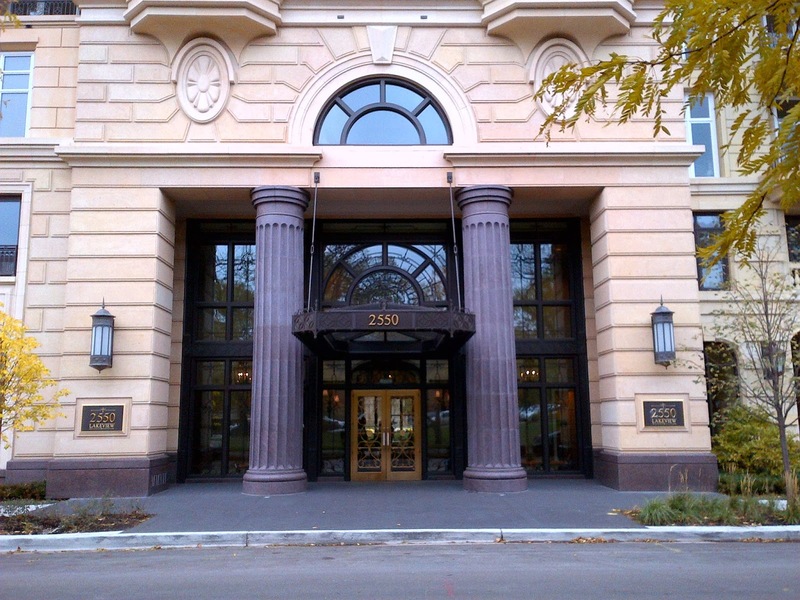 The classic entrance for the tower at 2550 N Lakeview Ave. spills out onto the North Pond Nature Sanctuary and just steps from North Pond Restaurant in the park. 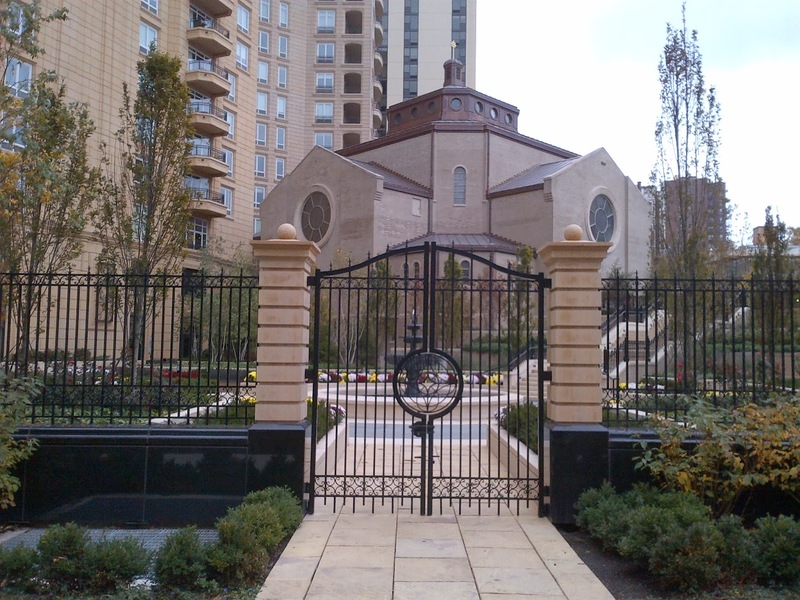 Mother Frances Xavier Cabrini shrine has been reopened in the midst of this luxury high rise and row homes. 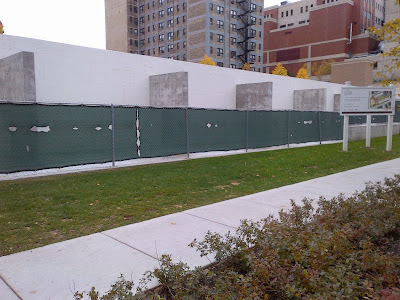 It's really one of the more interesting preservation situations in the city. The chapel is actually more exposed and easier to take in. 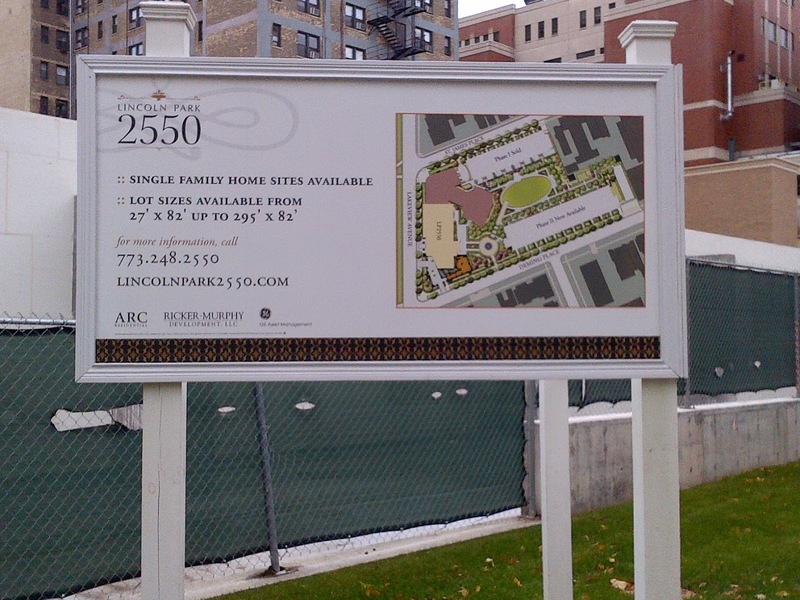 Phase II for single family home development at Lincoln Park 2550. Lot sizes are for sale now.